List of Feelings with pictures and phrases to ask about another's feelings. On the back side is a dialogue between 2 people that the students can practice. This downloadable handout is meant for high school students, elementary school students, adults and students with special educational needs, learning difficulties, e.g. dyslexia at Beginner (pre-A1), Elementary (A1) and Pre-intermediate (A2) level. 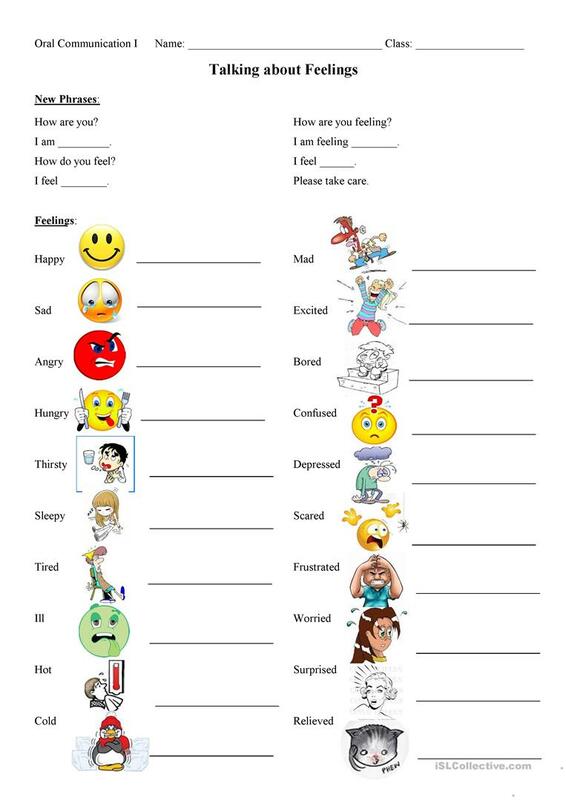 It is great for consolidating Adjectives and Adjectives to describe feelings / mood / tone in English, and can be used for improving your pupils' Listening, Spelling, Speaking, Reading and Writing skills. It centers around the vocabulary topic of Feelings, emotions. Hi, I'm Scott. I teach English in Japan.